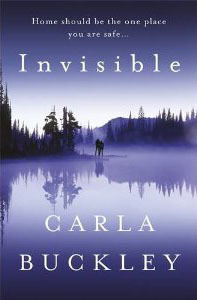 Carla Buckley joins us today for an interview about her new novel Invisible. 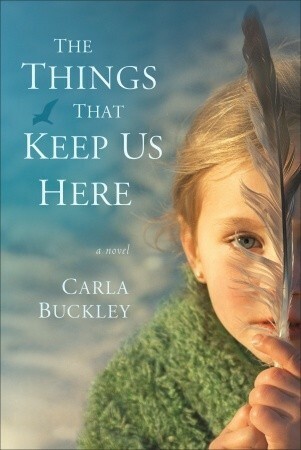 Carla burst on the scene in 2010 with her debut novel, The Things That Keep Us Here. Fans, like myself, have been anxiously awaiting her next book, wondering where her creative muse would lead her. SCHEDULING UPDATE: Please visit the blog again on Friday for the BOLO Books review of Invisible. BOLO Books: I would call both of your novels domestic thrillers. Both of them are able to create tension without standard set pieces of most thrillers, such as car chases and shoot-outs. How do you classify your books and do you find that it is hard to market them given the cross-genre nature of the writing? Carla: Great question, and not an easy one to answer! It’s difficult for me to stand back and assess my work in this regard. The long answer is that when I wrote The Things That Keep Us Here, I was convinced it was a thriller. After all, it’s about a deadly pandemic that kills half the world’s population. But when I decided to focus on one average family in one average American city (which I decided to do right from the start) I unwittingly moved my work out of the strict thriller domain and into one that also straddles domestic thriller. In writing Invisible, I made the same choices: have an average family face a global threat. To me, that’s the most interesting journey to take as both a writer and a reader—trying to imagine what I would do under terrible circumstances. The short answer is that I’ve come to realize there isn’t one easily defined category for my work, and so I cheat and call it suspense. Is it hard to market my work, accordingly? It can be, but I think my publisher’s done a great job of designing book covers that tell the reader the story inside is about a family in peril. Other than that, I count on word of mouth to draw in readers who might otherwise not be drawn to my work. BOLO Books: I have to agree that you have some of the best covers in the business. The images are simple, iconic and memorable. They each seem like standard family photographs, but somehow you can also feel the threat that is being imposed on folks from the outside world. Both of your novels involve fractured families that are forced to come together due to overwhelming outside forces. Do you think they handle the situations differently than an intact family would? Did you purposefully include this type of family to engage today’s readers, many of whom can readily relate to the struggles of a broken home? Carla: I think characters that don’t have happy, centered families to rely on when everything goes wrong around them make for better story fodder. My characters are misunderstood. They stumble, and make terrible choices. They’re human, and I think it makes it easier to root for them. And isn’t it satisfying in the end when despite everything, they find love, or at least, the promise of it? Though I didn’t set out to write about families in conflict in order to appeal to readers who might also be facing similar challenges, I have heard from many readers who relate to what my characters go through. And it’s always a privilege to hear from them. BOLO Books: The settings for your novels often have a connection to your own life – Columbus, OH is the setting for The Things that Keep Us Here and mentions of Baltimore abound in Invisible. How important is it for you to intimately know the locations you use before setting a story there? Carla: Setting, for me, is as important as character. Therefore, it’s important to me to feel comfortable with a place before I can write about it. The small town in Invisible is actually based on a real town in northern Minnesota, where I’ve spent the past twenty summers and winters visiting my five billion in-laws. In this way, the places I put my stories are all my adopted hometowns. BOLO Books: Without going into detail, for fear of spoiling the book for readers, Invisible involves a threat against the health of everyday citizens. How did you go about your research and did you scare yourself with what you found out? Have you changed anything in your daily life as a result of this new knowledge? Carla: I never have to make up the threats in my novels–reality is frightening enough! I’m fortunate to be married to an environmental scientist who helps me access the latest research, and puts me in touch with those scientists who are conducting it. As with my first book, I terrified myself doing the research for Invisible. One thing I learned is that there’s nothing I can do as an individual to prevent the damage that’s already been done. But I can be more aware, and I do make consumer choices accordingly. Carla: As the risk of alienating my fellow authors, I admit that I love trade paperbacks! They tend to be targeted at book club readers, and I find these issue-driven stories the most compelling. Argh. This makes me want to run away from my desk and call in sick for a week so I can read these books. In other words, nicely done.